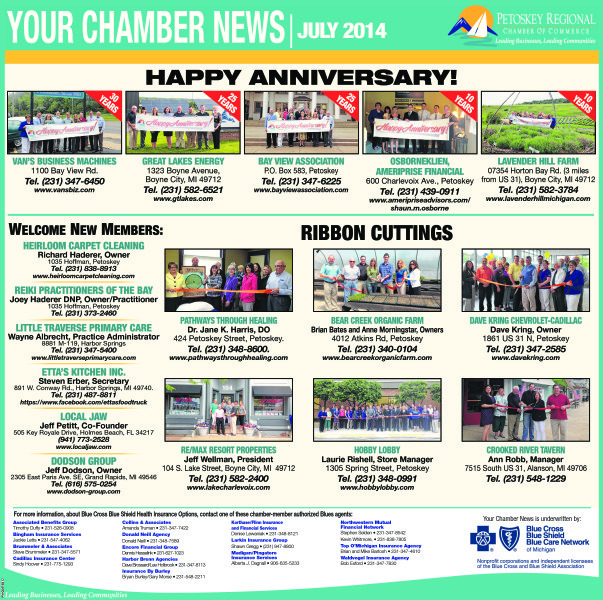 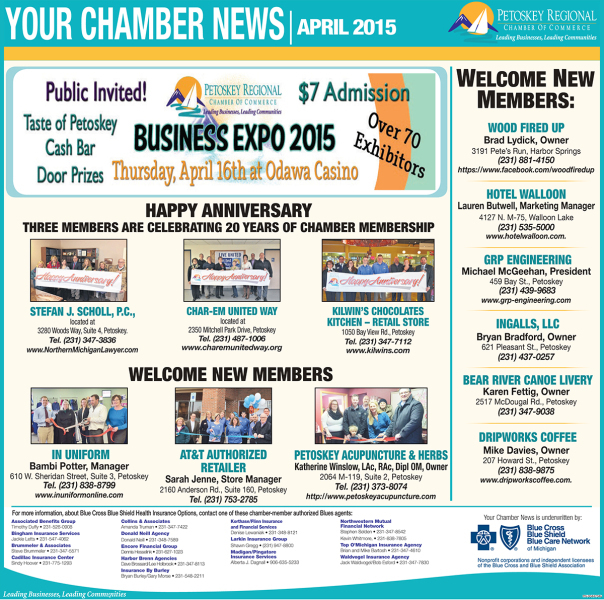 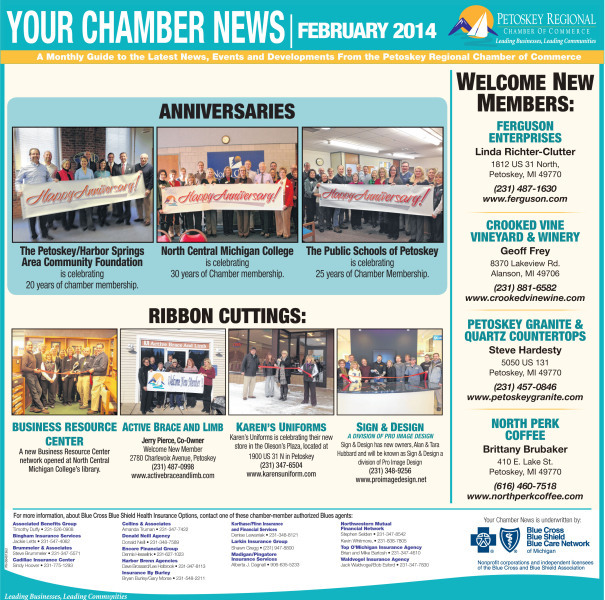 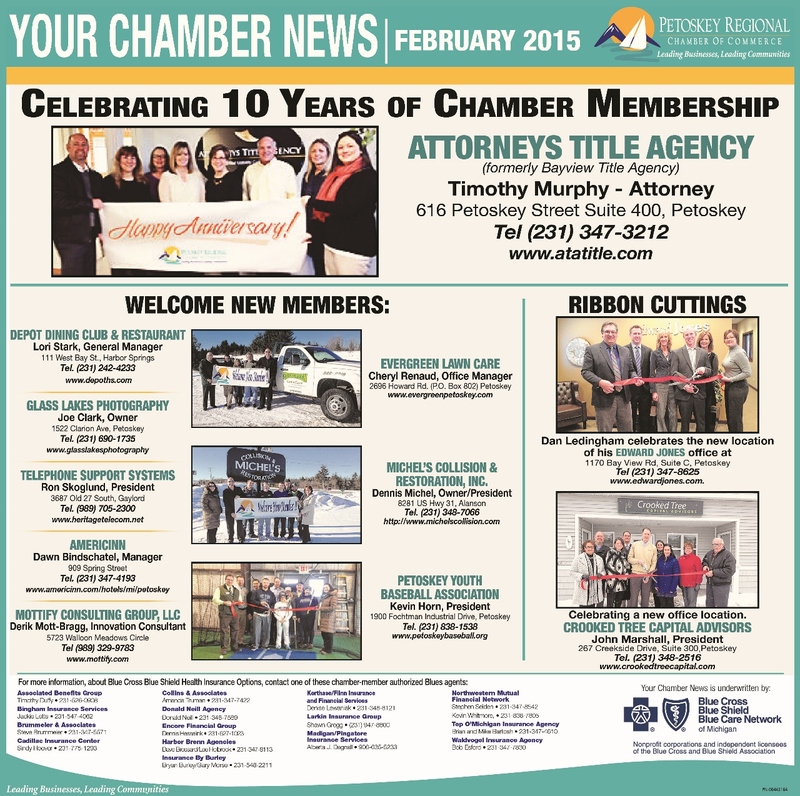 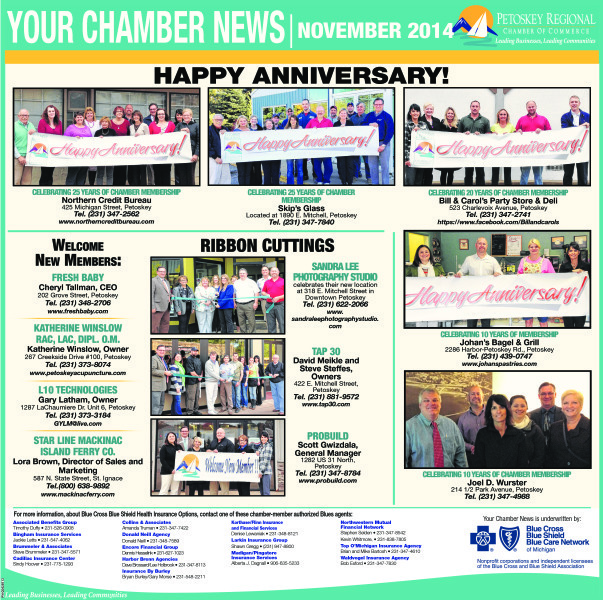 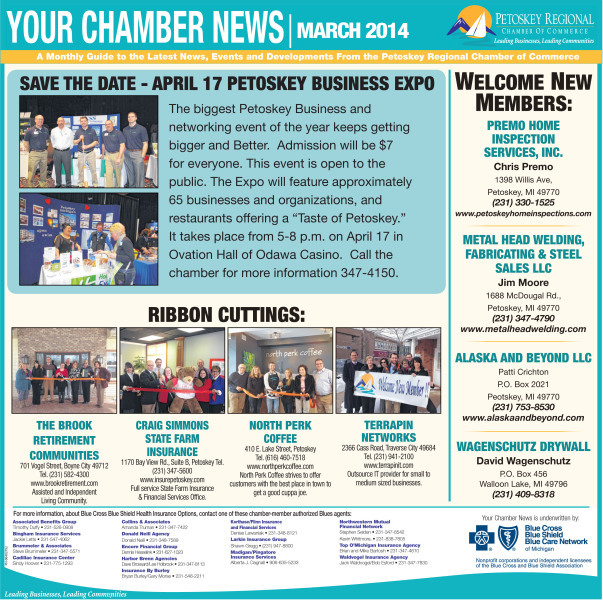 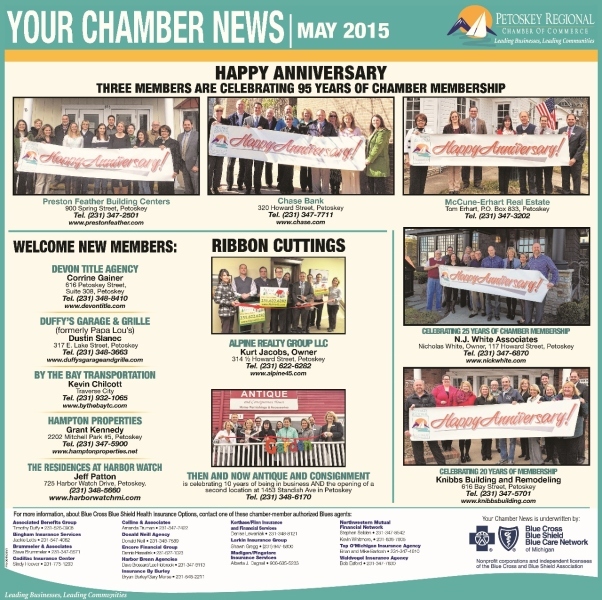 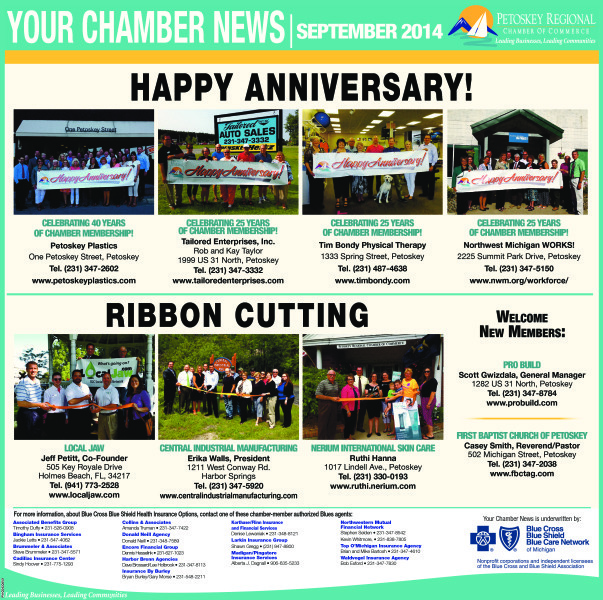 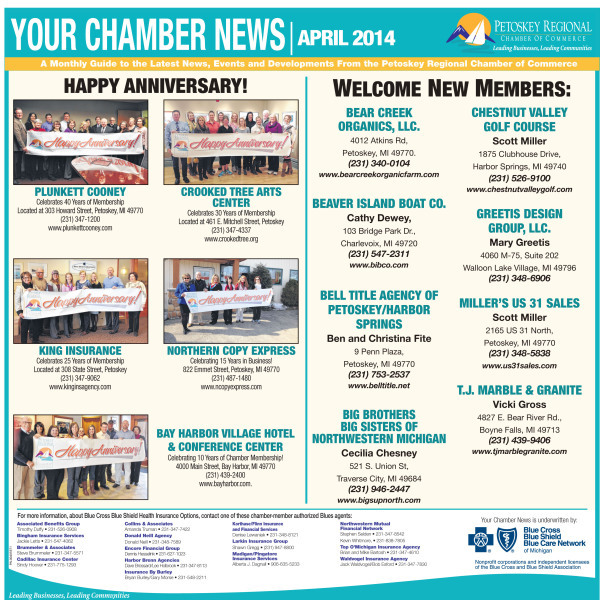 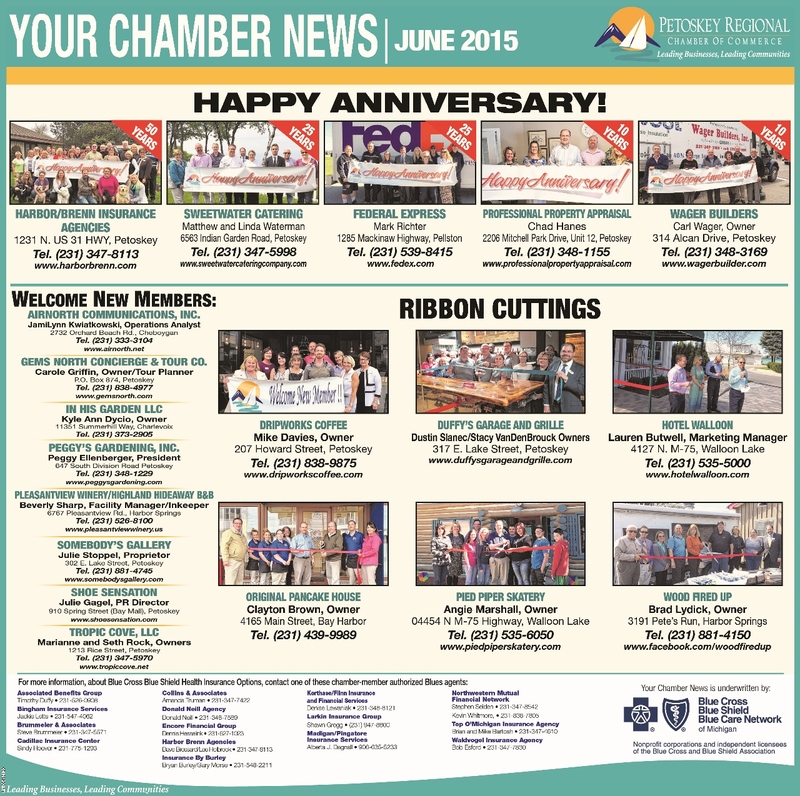 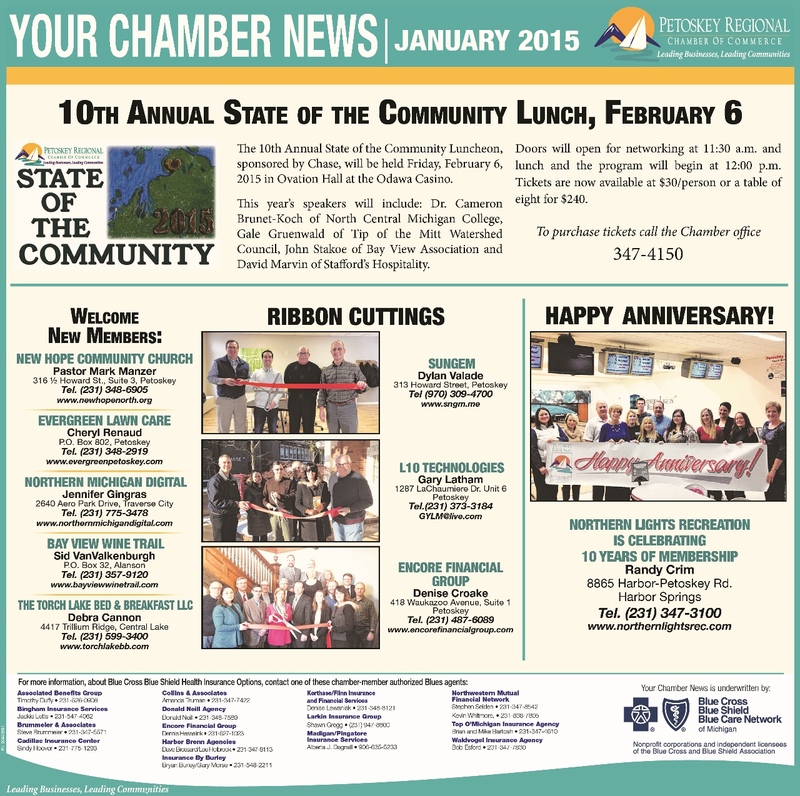 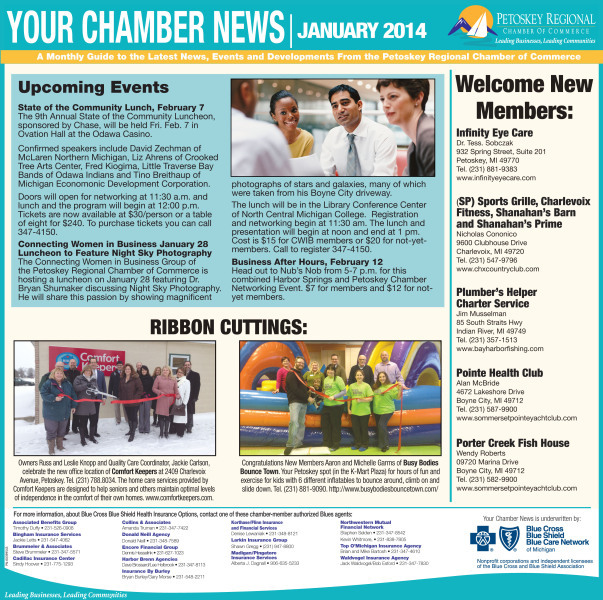 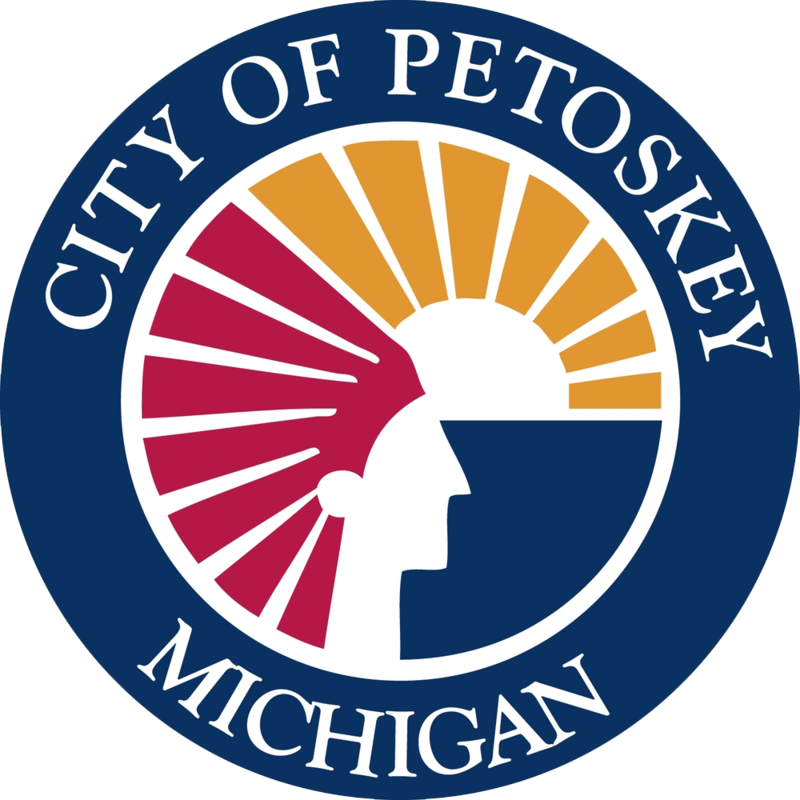 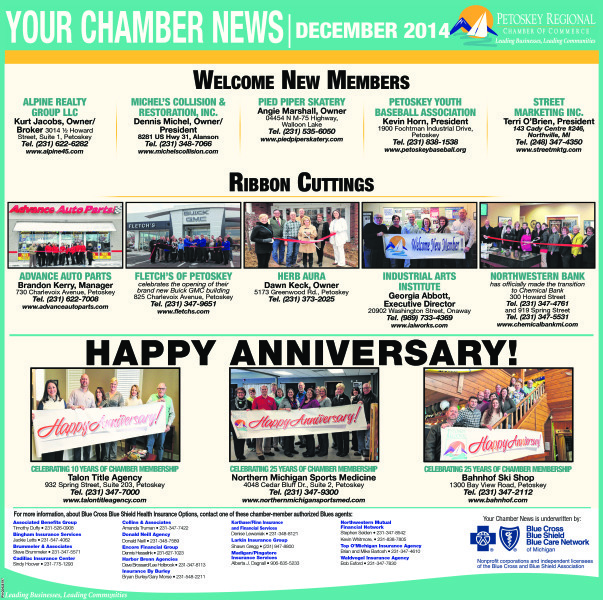 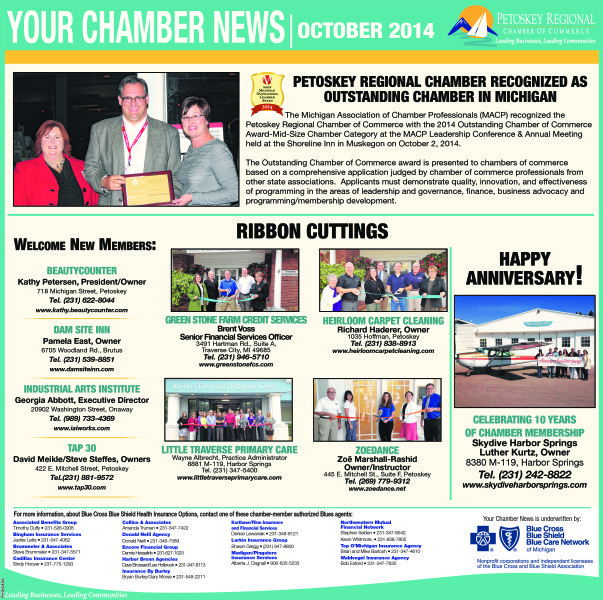 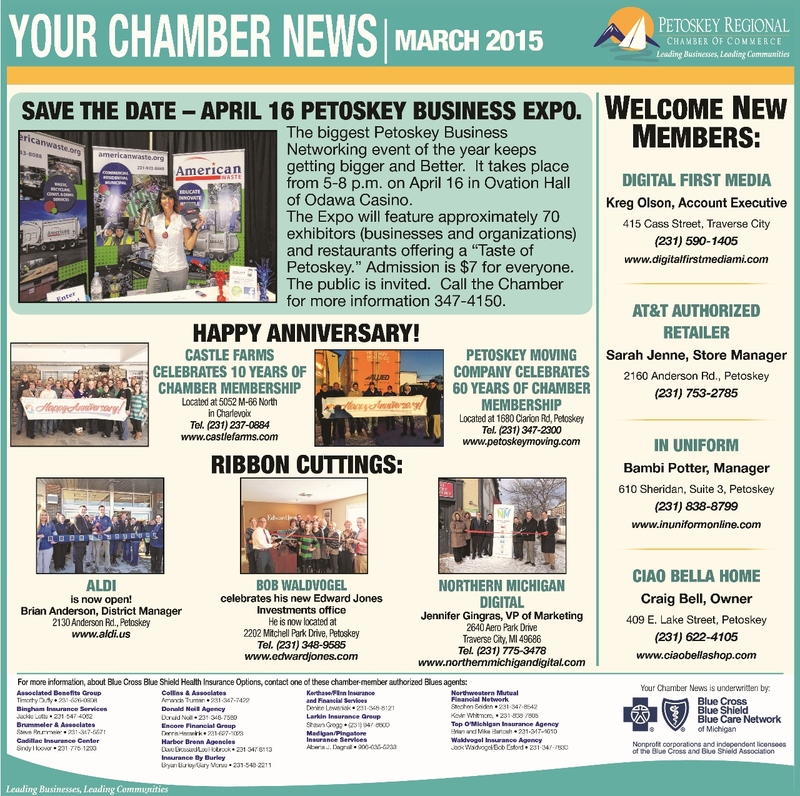 Your Chamber News is a Blue Cross Blue Shield sponsored monthly advertisment in the Petoskey News Review. 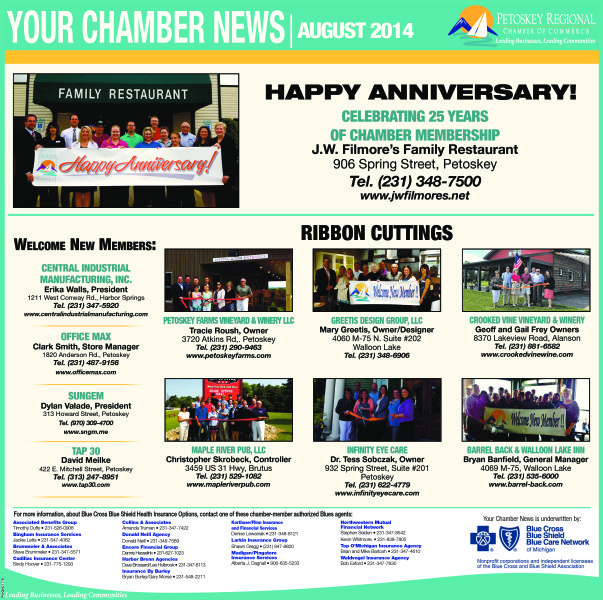 Each month we feature upcoming chamber events, welcome new members, feature anniversary pictures, ground breaking pictures, welcome new member pictures and ribbon cutting pictures. 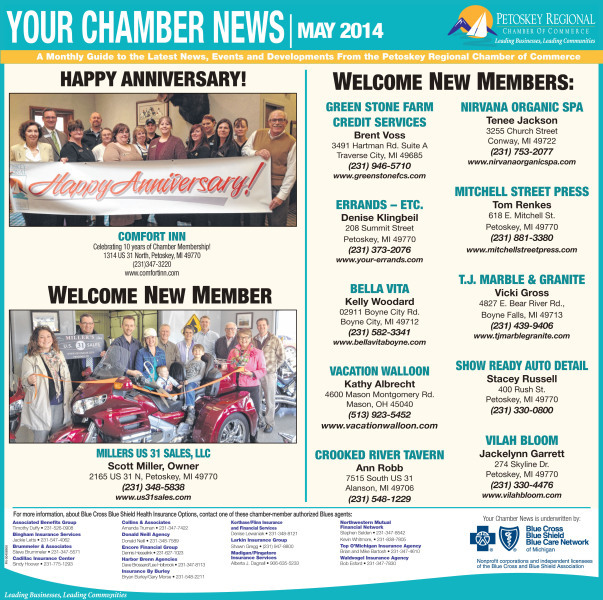 We also list Member Insurance Agents who offer Blue Cross Blue Shield Health Insurance.